Two handrails that contain lights along Metro's brand new Silver Line have caught fire recently, prompting Metro to brand the issue an emergency condition, News4 has learned. According to sources, one handrail caught fire at the Greensboro station Sunday, March 8. 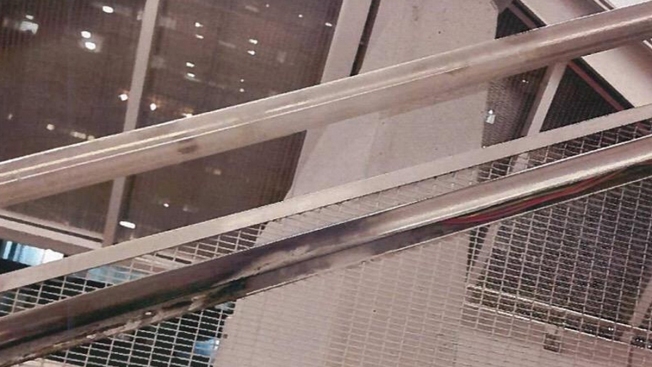 The next day, another handrail caught fire at the Tysons Corner station. No one was hurt. News4's Adam Tuss said the plastic surrounding the lights and parts inside the lights ignited. According to a letter sent from Metro to the Metropolitan Washington Airports Authority, this is not the first time an event like this has happened along the Silver Line. Neil Nott, WMATA's acting director of the Dulles Corridor Metrorail Project, states in the letter "with knowledge of a previous fire incident with the lighted handrails that occurred in November of 2013 while construction was still underway, WMATA has no choice at this time but to assume that this is a systemic problem." At this time, Metro tells News4 the lighting systems on all the handrails along the new portion of the Silver Line have been removed, and temporary lighting has been strung up to guide a path along the stations. News4 has also obtained a picture of the charred handrail at one of the stations. Although Metro operates the Silver Line, the 11-mile rail extension was built by the Metropolitan Washington Airports Authority (MWAA) and its contractors. Metro says it is holding MWAA and its contractor, Dulles Transit Partners, accountable for their work. "This is a warranty issue and we have been working with WMATA and Dulles Transit Partners, the contractor for Phase 1, to ensure a permanent solution," said MWAA spokesman Chris Paolino. "We have told WMATA officials we support them in taking the immediate actions deemed necessary."